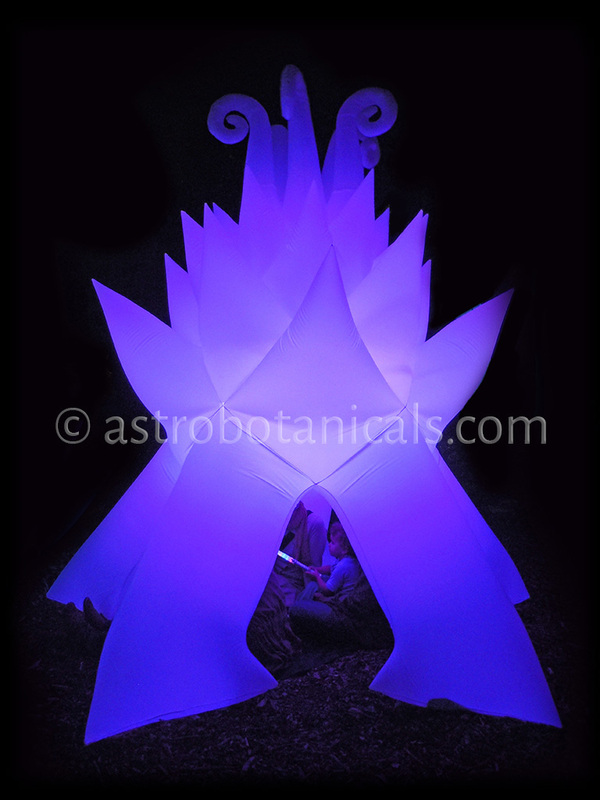 Astro Botanicals are high quality sculptural decorations that promote creative play and symbiotic awareness. The natural shapes create a sense of wonder and safe space. They are complex and reassuring in their symmetry. Stan Clark is a fabric artist sewing giant sculptures and small toys. He grew up in the forests of the mid west, and moved to California to share his vision. Giant inflatable flowers have evolved out of plant shaped velveteen dragons. Fairy tale forests and ornamental architecture come together in elegant sacred vegetable geometry illuminated sculptures. All this work is dedicated to Peace, Justice, and Joy!